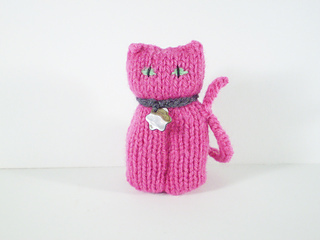 This pattern is for a set of little cats, the biggest one stands 9 cm (3½“) tall and the smallest just 5 cm or 2”. 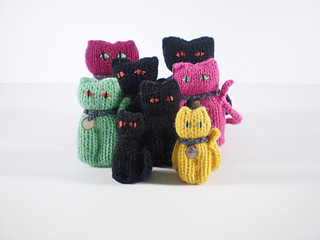 The knitting couldn’t be simpler - just a square and a rectangle - it’s the sewing up that turns them into cats. 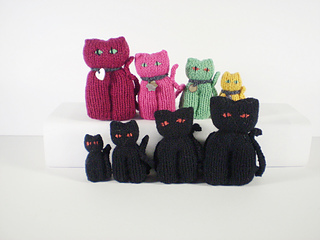 If knitted in black, these would be ideal Halloween cats and the smallest size can also be made into a brooch.